Last week I dragged some of the band and string instruments into my room and taught the orchestra instrument families. It was very fun brainstorming with Ks how to produce sound on the trumpet-I tried all of their many suggestions and finally had to explain buzzing. 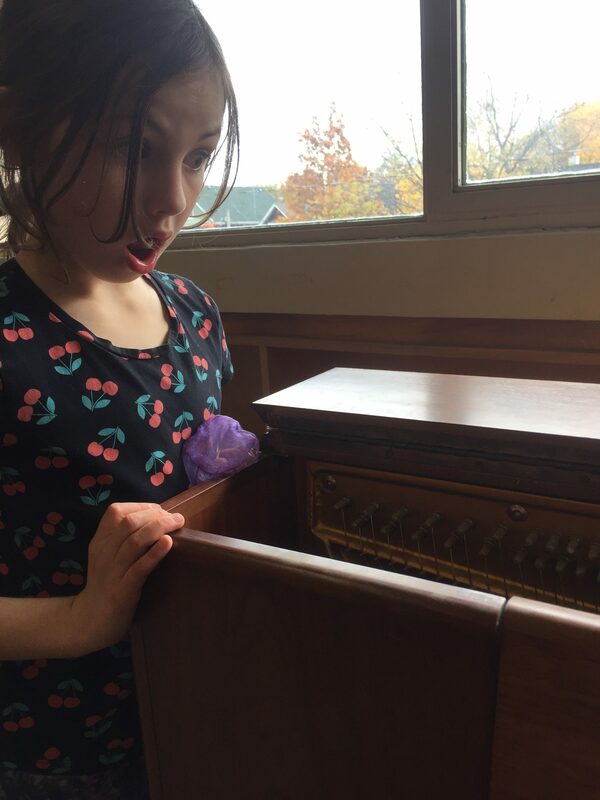 Students got to look inside the piano to see why it’s a percussion instrument; Their looks of excitement and amazement really made love my job! !